There I was at two in the morning laying on the bathroom floor waiting to get into the bath tub if the shells hit. Yes, this really happened to both of us. Serving in a place that is at war probably isn’t the smartest thing to do but when God says go you go. 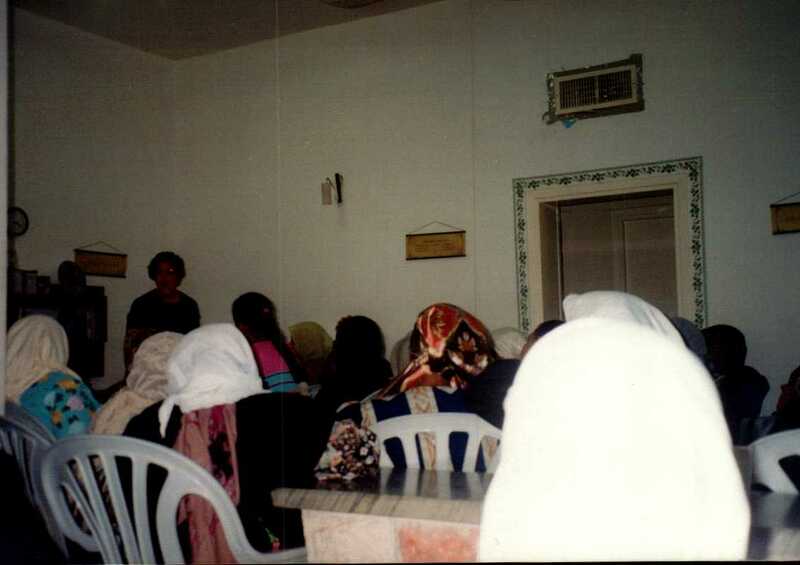 We were living at the Jesus House in Jericho and the Israeli’s and the Palestinians were at war. For the most part you didn’t really know it except for all the tanks in the hills surrounding the city and the airplanes flying over several times a day. But just in case we always kept a bug out bag if we had to leave in a hurry. One night as we were sleeping the phone rang. 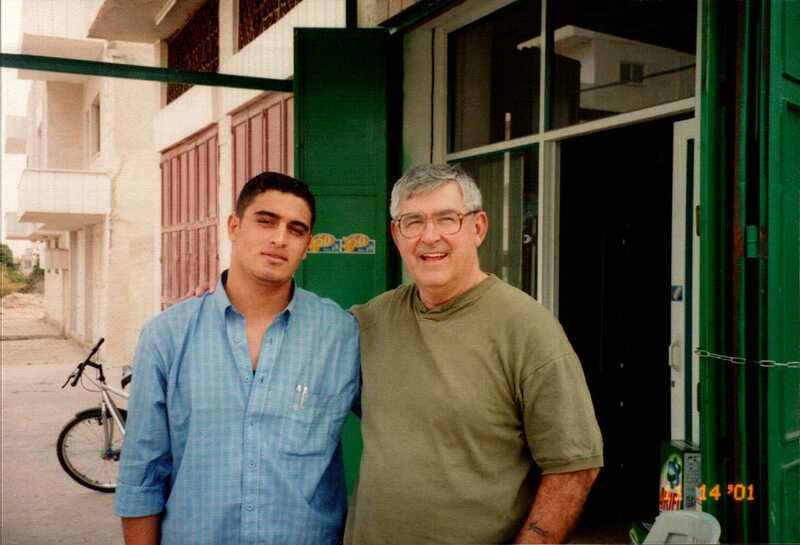 It was our friend Nasser, who lived in the refugee camp, and he told us the Israeli’s were in the camp with a tank and they were headed to Jericho. We got up and got dressed then called Terry, who ran the Jesus House, and told him what was happening. He told us not to hang up. Bob decided the safest place in the house was in the bath room because a round would have to come through the house and if they started shooting we would get into the bath tub which was cast iron. the door to the bathroom is to the far right. We could hear the tank coming. A tank has an unusual sound. Bob was on the phone with Terry telling him what was happening. Sure enough the tank turned down our street as we watched from the window, in the dark of course. It went down about a half block and we heard gun shots. It wasn’t the tank it was the Palestinian’s on top of the building next door. The tank didn’t fire back but it was at that point that Bob decided we needed to go to the bathroom. The floor was concrete and of course a cast iron bathtub isn’t soft either. So there we sat waiting and hearing gun shots. Finally, after about an hour I was very uncomfortable and I told Bob if I was going to die that night I was going to do it in comfort in my own bed. So I got up, put my pajamas on and went back to bed. Bob thought it was a good idea. He did the same thing. We went to sleep hearing gun fire in the distance. When we woke up the next morning everything was just the same and was peaceful. We saw one of the men from next door and he said he was up on the roof shooting at the tank. When Bob asked him why he did that his answer was we had to let the Israeli’s know we are here. There is no way to comment on that so Bob let it go. We are thankful we had the opportunity to serve the Lord during this time. The people were so thankful we were there. And God is so good.